Here is an interesting Cydia app for those who like to know number of files, folders or disk space of their iPhone & iPod Touch. 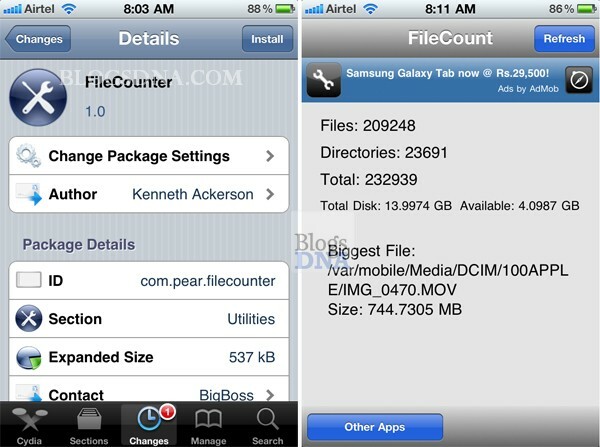 FileCounter is the app that counts the number of directories and files on your iDevice and the total disk space on your device. You can also see the biggest file on your disk. You can download FileCounter from Biggboss repository please keep in mind that it could take a couple of minutes to calculate in first run.